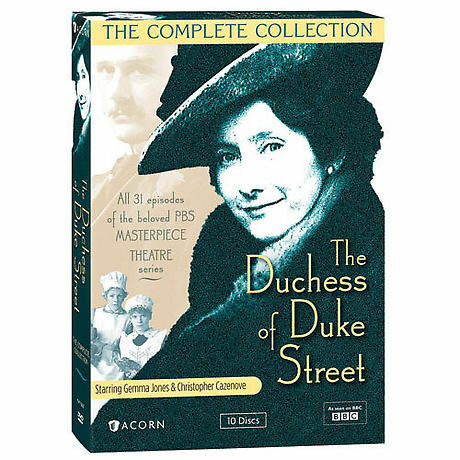 Based on a true story, seen on Masterpiece Theatre in the mid-1970s, this Emmy®-nominated BBC series follows a Cockney servant girl as she rises from the scullery to manage Edwardian London's most elegant hotel. Gemma Jones (Bridget Jones's Diary) stars as the indomitable Louisa Leyton; Christopher Cazenove (A Knight's Tale) is her dashing Charlie. A delicious tale of romance, intrigue, food, and fashion, created by John Hawkesworth (Upstairs, Downstairs). 31 episodes, 27 hrs, 10 DVDs, CC.